This Limerick panel looks determined to collect as many trophies while they are in form and having players contributing all over the pitch. John Kiely's men are the reigning All-Ireland and league champions after their Division 1 Final victory over a game Waterford side at Croke Park today. Aaron Gillane got the only goal of the game as, after 26 minutes, he flicked a Tom Morrissey howitzer pass on by Stephen O'Keeffe in the Deise goal. It was a sumptuous strike. Gillane was covering every blade of the full forward patch, in both halves, and he was next to impossible to keep quiet. Limerick's No.13 scored 1-5 from play and added another four from placed balls. It did not go all his own way as seven efforts were either pulled or skewed wide of the sticks. 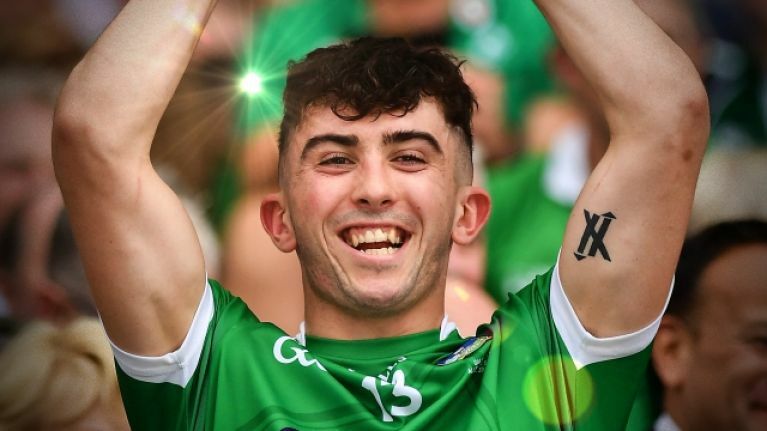 He came off with 10 minutes to go and, seated on the bench, received a warm reception from the Limerick fans when he was announced as man of the match. "Ah sure look, I'm sure it was a good performance to get over the line but, look, I'm sure we'll have a look at it and there will be plenty to work on." "I just flicked it. I don't know what I was doing. It was the only thing I had on target all day." We are not buying it. Tom Morrissey and Aaron Gillane knew exactly what they were up to. Those two Treaty players were good, but a mention to the likes of Cian Lynch, Gearoid Hegarty and Peter Casey too. Lynch was as good today as he was in that drive to the Liam MacCarthy last autumn. As for Waterford, O'Keeffe was brave as ever, Jamie Barron and Pauric Mahony had good flashes and Stephen Bennett kept the scoreboard ticking over.